With the development of infrastructure and economy, construction waste is increasing, and the harm caused by construction waste is also growing. So the re-use of construction waste becomes the most urgent problem. That means more and more concrete aggregates need to be processed and reused. Therefore, how to process waste concrete aggregate becomes an important issue. Here, Aimix’s concrete crushing machine can help you a lot. Concrete crushing machine for sale is the leader of concrete aggregate processing equipment. It can not only greatly shorten labor time and labor intensity, but also reduce material working hour consumption. Users can adopt different disposition forms according to the type and size of raw material and the requirement of finished material. In concrete aggregate processing line, the work of the portable concrete crusher for sale is crushing. 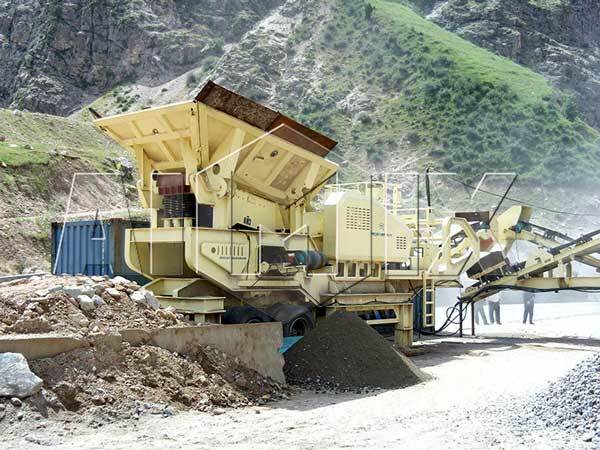 The aggregate produced by crusher machine can be used to produce concrete, brick and so on; the mortar can be used to lay block and wallboard, etc; the stone screened by construction waste can be used to pave road and so on. The development of the concrete aggregate processing industry has also promoted the development of wall materials and other industries. 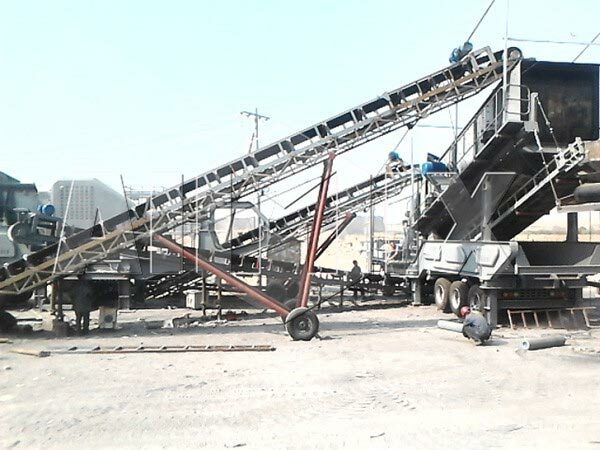 When it comes to concrete aggregate crusher plant, few people know how it works. Here, Aimix’s experts will tell us working process of the mobile stone crusher: materials in the bucket elevator can be transported to the crusher by the feeder. After materials primary crushed by compact concrete crusher, the crusher and the vibrating screen machine can form a closed circuit system to achieve materials’ cyclic crushing. The materials, which meet the size requirements, can be discharged with the conveyor. We can also remove the circular vibrating screen on the basis of the actual production needs. 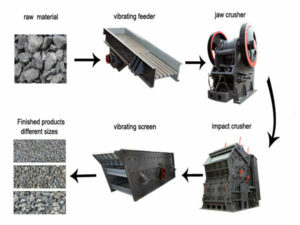 Materials can be primary crushed directly, and then be processed by crusher and other crushing equipments. Firstly, the entire set of installation form can not only eliminate the installation of complex site infrastructure, but also reduce the material loss and time loss. Secondly, the concrete crusher for sale is flexible and the car chassis is high, so it is convenient for running on all kinds of roads in crushing areas. It saves time for stationing at the construction site quickly. It is also easier to station in the reasonable construction area, and it provides more flexible space and reasonable layout configuration for overall crushing process. Thirdly, the portable concrete crusher can reduce the material transportation cost. And mobile crushing equipment can greatly reduce the transportation costs, because materials need not to be transported to next process location remotely. 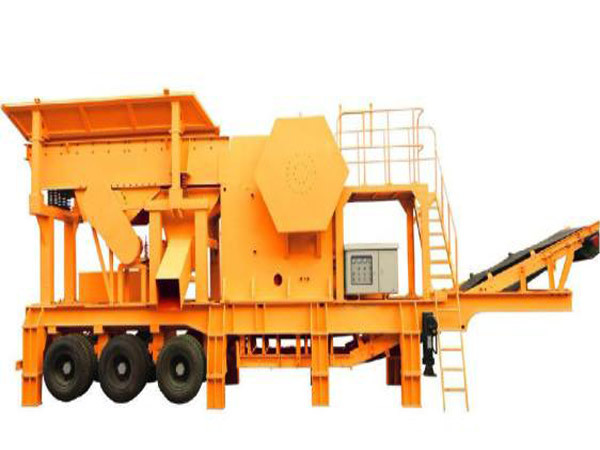 In addition, the longer machine assembly will put the crushed materials into the bucket of the transporter directly, and then can be transported from the crushing scene. Aimix’s cement crusher machine also has many excellent features, such as: large crushing ratio, uniform particle size, low energy consumption and so on. Now I’d like to introduce its working principle. This kind of small portable concrete crusher uses impact force to crush materials, and it is a finely crushing machine. The hammer is hinged on the high speed rotor, and the lower part of the machine is equipped with grate bars to control the discharging size. 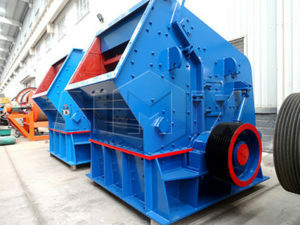 The material in the crusher is firstly crushed by the high-speed moving hammer. And then the material gets kinetic energy and goes to the crush plate at high speed and be crushed again. The particle size smaller than the grate bar will be discharged from the crusher machine, and the material size larger than the grate gap will be crushed again until it satisfy the required demands. As a professional crusher machine manufacturer and exporter, Aimix’s crushers have been exported to more than 60 countries over the past 30 years. We have various kinds of crushers for sale, such as: small concrete crusher for sale, mini crusher for sale, mobile concrete crusher for sale, etc. Besides, we can customize all types of crushers on the basis of clients’ requirements. Concrete aggregate processing equipment makes waste concrete aggregate reused, gives people healthy and happy home, and makes our living environment more harmonious and beautiful. Aimix is specializing in the production of small concrete crusher and other professional concrete processing equipments! And we will try our best to do better in the future! You will get more informations about hydraulic concrete crusher and other crushing plants for sale by contacting us online or sending us an e-mail. We ensure that you will get the most reasonable price and the best machine! Welcome to visit and purchase!